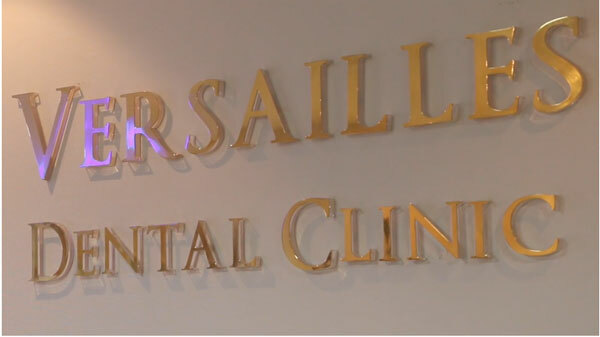 Versailles Dental Clinic Dubai has extensive experience and utilization of the modern techniques and materials to enhance the beauty of your smile in one session only, which is a long lasting solution. In order to provide our patients with the best possible care, we have incorporated the CEREC® 3D System into our clinic to offer you on-demand, custom ceramic restorations that can be completed in just 1 visit. Chair-side: the technology we use while you are in the chair. Economical: an economical way to have the teeth you need and desire. Restoration: restoring your tooth to its natural beauty, function, and strength. Esthetic (Aesthetic): these restorations are metal-free and natural-looking. Ceramic: High-strength ceramics similar in composition to your natural tooth structure. The process begins with our professionals taking a digital image of your prepared tooth. This picture is used instead of a traditional impression, which are uncomfortable and not as accurate as the digital image. The computer and CEREC® 3D software converts the digital picture to a 3D virtual model of your prepared tooth. We can then design your restoration, such as a dental crown, onlay/inlay, implant or dental veneer, right on screen using the software while you watch and wait. The design data is communicated to the CEREC® milling unit where we have carefully selected the correctly coloured ceramic piece that will fit your mouth perfectly. We can then polish and bond your beautiful new restoration into place. 3D optical printing is the process of making a 3D solid object such as a crown, onlay/inlay, implant or veneer from a digital file. At the Versailles Dental Clinic Dubai we have incorporated this technology in order to save time and effort and improve the quality and precision of the dental components that we can make. Without the need for impressions, which are uncomfortable, time-consuming and imprecise, we use this new technology to take a 2-minute 3D digital scan of your entire mouth. We can then use the 3D printing machine to craft the ceramic piece of dental work you need to perfect your smile. The Versailles Dental Clinic Dubai incorporates the CEREC® equipment. The CEREC® Omnican is a powder-free, 3-D scanning device that has been ergonomically designed. It is particularly well-suited to multiple and single-tooth restorations. With the new CEREC® Omnican, we can record the high quality short video clips and present these to you via the CEREC® AC monitor which allows you to make decisions based on highly reliable information and be an active participate in your smile make-over.